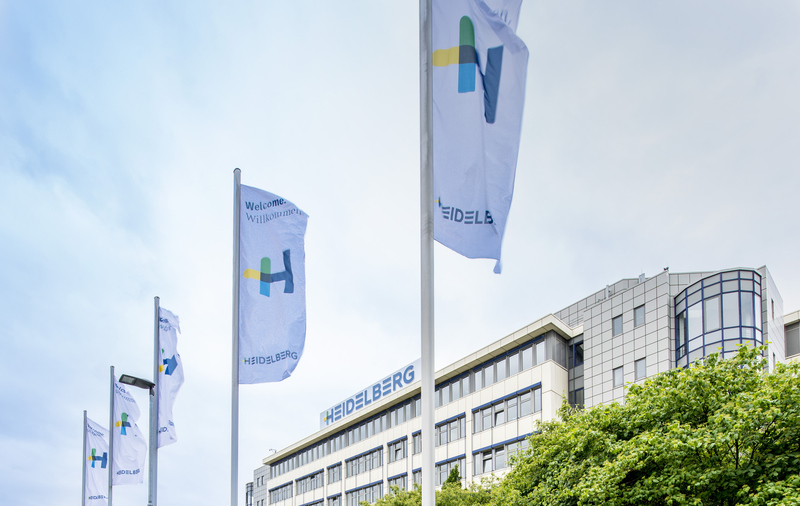 In the final quarter of financial year 2016/2017 (January 1, 2017 to March 31, 2017), Heidelberger Druckmaschinen AG (Heidelberg) recorded its best sales and result since 2008. With a further improvement in the net profit after taxes to €36 million (previous year: €28 million) – based on preliminary figures – the Group has achieved the stated objective for the year as a whole of a sustained return to profitability. The improvement of nearly €60 million in the free cash flow to €24 million also underlines the success of the strategic realignment towards a digital company that has been initiated. “Heidelberg has achieved its targets for 2016/2017 thanks to an excellent final quarter. The net profit after taxes improved once again and we’ve created a solid basis for the company’s further development,” said CEO Rainer Hundsdörfer. “We now need to gear our strategy towards becoming a digital company focused on customer needs. This will also bring the expected growth in sales and a further substantial improvement in profitability in the future,” he added. Sales after 12 months were slightly up at €2.524 billion (previous year: €2.512 billion). In the final quarter alone, sales increased by just under 20 percent to €845 million (previous year: €710 million). The more substantial growth in sales originally planned for the year as a whole did not materialize due to planned acquisitions being postponed until the new reporting year. In the period under review, incoming orders of €2.593 billion bucked the industry trend by being significantly up on the previous year’s level (€2.492 billion). Despite the costs for the drupa industry trade show of €10 million in financial year 2016/2017, EBITDA excluding special items in the reporting period amounted to €179 million (previous year: €189 million, including non-recurring income of €19 million from the PSG takeover). This resulted in an EBITDA margin of 7.1 percent (previous year excluding PSG: 6.8 percent). The €85 million operating profit (EBITDA before special items) for the fourth quarter was over 20 percent higher than in the same period of the previous year. Special items in the reporting period amounted to some €–18 million (previous year: €–21 million). Lower interest costs resulted in a further significant improvement in the financial result to €–56 million (previous year: €–65 million). This led to a net result after taxes of €36 million (previous year: €28 million). In the final quarter, the net profit after taxes climbed from €35 million to €46 million. The free cash flow at the end of the financial year reached a clearly positive value of €24 million (previous year: €–32 million). Operational enhancements and efficient cash flow management thus resulted in an improvement of €56 million compared with the previous year. In the quarter under review, the net financial debt fell to €252 million (March 31, 2016: €281 million) and the leverage remained well below the target value of 2 at 1.4. “We’ve significantly increased the free cash flow and further improved our balance sheet quality in reporting year 2016/2017. This lays a firm foundation for the Group to independently finance our transition into the digital world and step up our pursuit of attractive takeover targets. 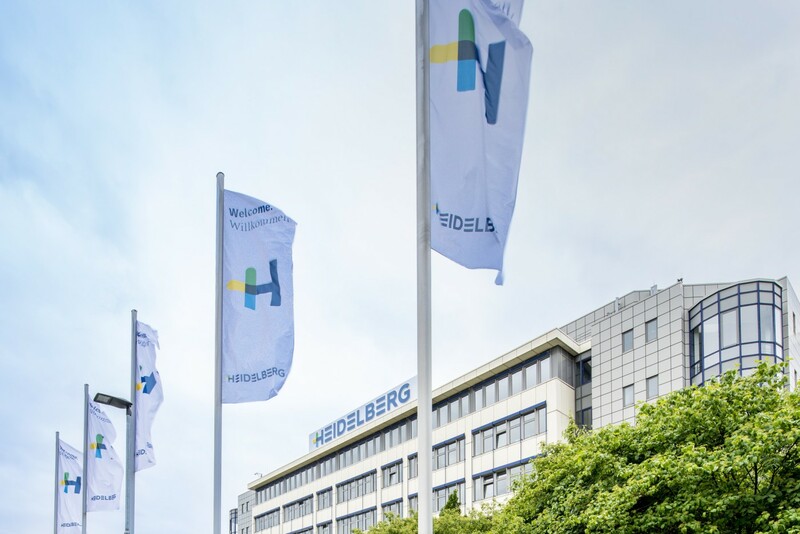 We’ll be announcing some successes in this regard in the near future,” Heidelberg CFO Dirk Kaliebe commented on the developments. 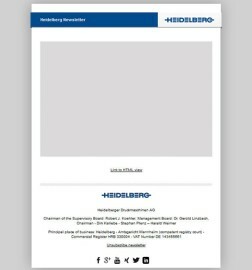 Strategic focus – Heidelberg goes digital! 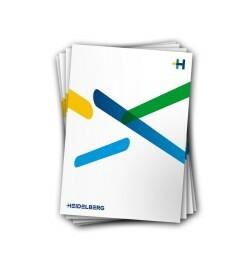 Heidelberg has thus created an excellent basis for the stategic development towards a digital company that was announced with the publications for the first quarter at the beginning of February 2017. The Group’s restructuring for the company’s digital future took effect on April 1, 2017 under the motto “Heidelberg goes digital!”. This move saw the Heidelberg Digital Technology (HDT) and Heidelberg Digital Business & Services (HDB) segments established. HDT combines sheetfed offset, label printing, and postpress operations and is responsible for developing, producing, and marketing the appropriate technologies and products for new business models. 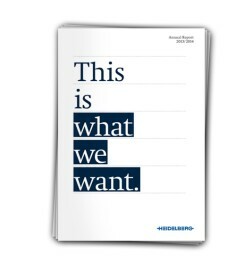 HDB, meanwhile, is where Heidelberg manages its operations relating to services, consumables, remarketed equipment, digital printing technology, and solutions throughout the value-added chain. The third segment – Heidelberg Financial Services (HDF) – will remain the same. Numerous measures are being introduced in the new financial year and some of them have already been implemented. The objective is to increasingly generate substantial growth potential with a comprehensive portfolio developed for specific customer needs throughout the value-added chain – from equipment and consumables all the way through to services. At the same time, enhanced efficiency will lead to further improvements in profitability at Heidelberg. Heidelberg will provide details of the future corporate strategy and the resultant outlook at the Annual Accounts Press Conference for financial year 2016/2017 on June 8, 2017 at the Group headquarters in Wiesloch.